By now (Day 17) ideally you would have 26,666 written and cross the 28,333 mark by midnight tonight. Everyone is there, right? Writing every day is difficult. If you aren’t already writing on a regular basis, you will find this out almost immediately. Even for people who do write every day, it can be difficult to hit a certain word count with useable story. Keep writing, even if it’s for ten minutes every day. Get yourself warmed up and you’ll find the words will start to flow. Keep reading for more tips. 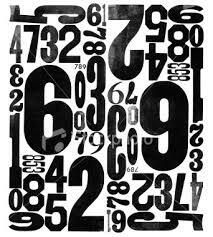 If you’ve been overwhelmed by the number 1667, try using a smaller number as your goal. Set up three writing sessions of about 550 words each. If you hit the goal and feel good, then keep writing. But if just those 550 words felt difficult, then save them and come back to the story later. This is one of the best ways to chip away at a huge goal. If you have trouble keeping track of your progress, or want a little extra encouragement, check out the fun program Write or Die (www.writeordie.com). It’s an online app that lets you set a word or time goal and lets you know when you hit it. You can choose varying punishments for stopping such as sounds, flashing colors or even the worst where the program starts deleting words. (I don’t recommend that one). I generally choose the mildest reminder since I don’t write in one continuous flow. Get cold feet (or fingers) when you open the file for your story? Sometimes it’s tough to pick up where you left off, or the words just don’t happen, even if you think you know what you want to write. There’s a reason writing instructors give students a prompt at the beginning of each class. Not to write about the particular subject, but to get the words moving, get the ideas flowing and warming up the physical muscles to write, whether it’s by hand or on a keyboard. This is particularly important if your day job requires very different physical and mental skills. Don’t forget, you can still download our FREE NaNo planning worksheets to help you kickstart your creativity, or tame your story and get it back under control. If you’re a morning person, try fitting in a writing session before work or school. Get up a little earlier. Night owls, find ways to get the writing done at night. If everyone else in your house is hanging out after dinner, find a quiet corner to work on your project, then join the others. Make sure your writing spot is quiet, or use headphones to block out the rest of the world. Check that there is enough light, but not too much. Have a drink nearby, but not too close. I don’t actually recommend food at the writing desk. Depending on what it is, you will either spend too much time taking bites—which require you take your hands off the keyboard—or you will have messy fingers and need to keep cleaning them. It’s very easy to interrupt your flow of writing with finger foods, or make a big mess on the keyboard. I find it best to take food breaks away from the computer. It forces me to get up and get moving on a regular basis and I can use a food break as a reward for hitting a goal. A muffin for 1000 words or piece of fruit for 500. I won’t starve during the hour or two I’m writing each day. If I’m doing an all-day writing session I still schedule in food breaks. Just about everyone watches television for some period of time every day. If you’re not finding the time to write, try skipping one of your evening shows and write instead. You can catch up online or on the weekend when your schedule isn’t so crowded. You may not be up-to-date on the latest, but you will be closer to finishing your book. That’s going to be much more satisfying down the line when you can tell your friends you wrote a book while they were gathered around The Big Bang Theory. By now some of you have blasted everyone you know about NaNo and they don’t want to hear. But others of you haven’t told people and you’re missing out on some support. If your friends or family aren’t letting you make time to write, let them know how important this is for you. Ask them to do without you for an hour a day, while you work on your own goal. 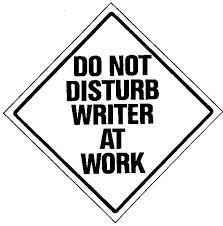 Then come back guilt-free and give them all your attention, after you’ve achieved your daily word count. Everyone will be happier. I know it’s tough when you have kids to keep them occupied while you write. Depending on their age, you can encourage them to write their own novel or comic book, or whatever. 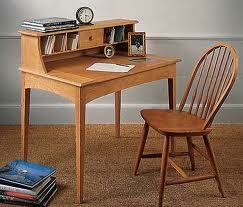 While Mom or Dad spends 30 minutes writing, your child can work on his own creative writing project. Come up with a wonderful reward if they finish theirs, to motivate them. They will also understand how difficult it is to work on a big project and may be more understanding of your devotion to writing. Lots of kids get really hooked on a project, and that means they’ll be wanting to write or draw even longer. What tips do you have that might work for others? If these aren’t the problems holding you back, then what is? Tune in next time for tips on getting your story back on track.